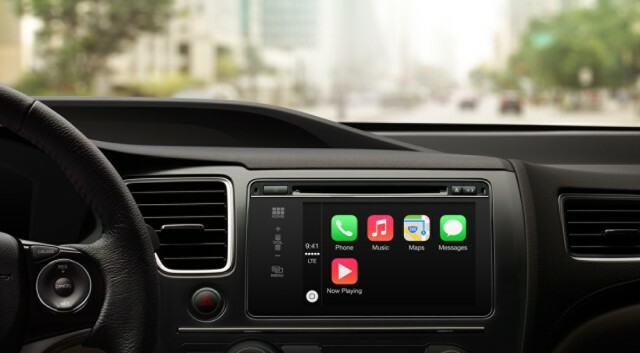 Apple has announced they have a new in-car iPhone integration system on the way and we can’t wait to start seeing it in Honda vehicles! Called CarPlay, the new system is eyes-free which means you’ll be able to use your phone for information, entertainment and communication safely when you are behind the wheel. Apple says that CarPlay is “designed from the ground up to provide drivers with an incredible experience using their iPhone in the car.” What does that mean? You are going to be able to to use a Siri-focused system that uses voice commands to help navigate through your phone and you car’s native infotainment system and in some models you will see a voice control button on your steering wheel to allow you to activate Siri distraction-free. CarPlay will allow you to safely and easily control all of the information and entertainment you are already used to with your iPhone. That means you’ll be able to access your music (including third party music streaming apps), text messages (allowing you to dictate your outgoing texts), Apple’s Maps (with turn-by-turn directions from Siri) and answer phone calls all from your steering wheel, voice activation and a digital audio touchscreen system. CarPlay is debuting at this week’s Geneva Motor Show in exclusive models, but it’s coming to more vehicles shipping this year. It will be landing as part of an iOS 7 update and will only work with Lightning connector iPhones — that’s the 5, 5S and 5C — so update your iPhone soon to take advantage of this awesome new feature!